Babyopera is a company that creates performances for children 0-3 years. It is led by initiator, director and scenographer Christina Lindgren with a team composed for each project. Babyopera is currently working on a new performance for children 0 – 3 years in collaboration with a Sami and Korean team. The performance Mago will be a result of Nordic-Korean-Connnection and is a collaboration between Babyopera and the Korean performing arts company Babyart represented by Stacey Kim (Heesun Kim). Premiere July 27th in Oil Tank Cultural Park, Seoul and performances in Norway December 2018. 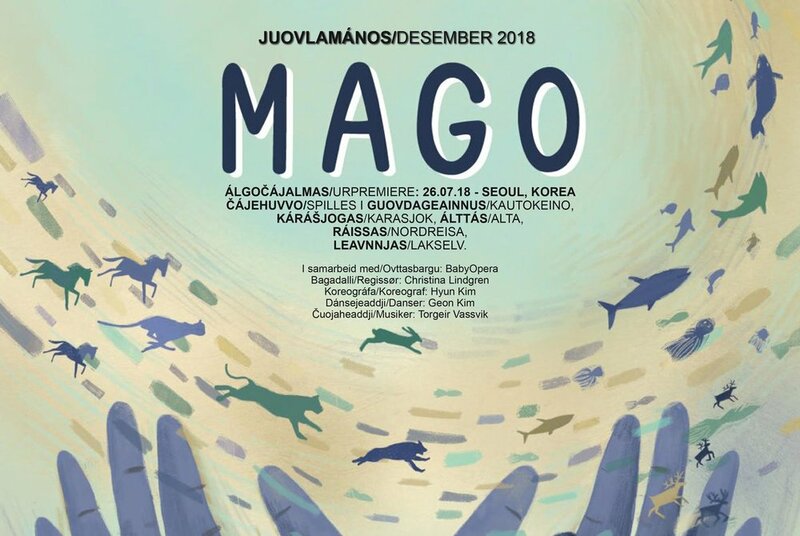 I was invited to MAGO by director Christina Lindgren, to assist as co-designer for costume of sami musician Torgeir Vassvik along with costume designer Christina Lindgren, and Sally Page Turner. It was a great opportunity to be a part of this production, and I was very moved by the amazing performance. Not only was this production shown in Seoul and Oslo, but also in Troms and Finnmark, places close to my heart. Thank you so much Christina for including me in your production. To read more about babyopera, and the performance Mago, visit their website here.